Profiles in history really sold a lot of scum in past time. Some of the stuff they sold as screen used or ILM made were not. As i heard the Death Star they are also currently offering, was made by an RPF member 10 years ago. Same with the Obi Wan saber, also not orignal. The most promising parts of that promosuit would be the helmet. 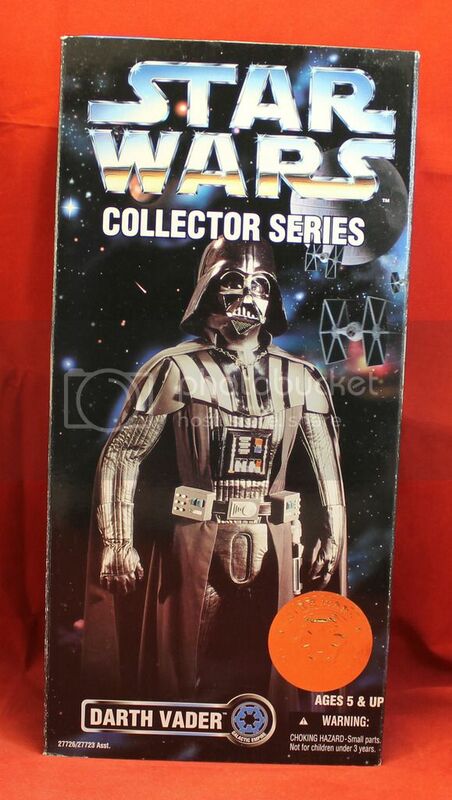 This one seams authentic as it matches the 90's Promo material such as that box for the 12" Vader. 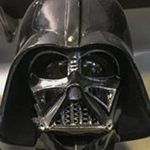 Looks like a promotional Vader statue that Don Bies and his team fabricated at ILM back in the nineties. The makers names are written in "hebrew" style under the coin slots on the chest box and on the back side of the belt buckle. It's probably the same one that has been on display at a German Cinema in Cologne back in 1992 to promote a Planet Holywood opening. I have about 50+ pics of this particular mannequin back home. 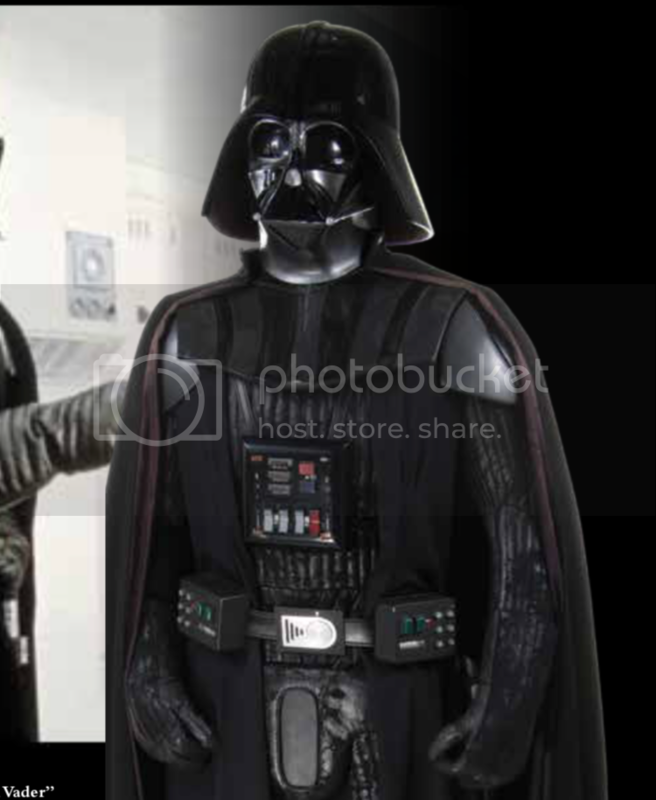 It's quite possible the old Rubies full size Vader statue was cast from this "master". This makes a lot of sense as most items in this very profiles in history auction come from Planet Hollywoods. Also agree with Turrican, a lot of stuff on auction now are also questionable, lot of replicas and mislabeled props. Funny how it gets around so much. Auction houses should really be on the top of their game. What I'm hearing about PiH right now and seeing their insufficient item descriptions - alluding to screen used or production used, when the items are in fact not - is close to misleading and fraud. I really thought PiH were one of the good auction houses... guess I've been living under a rock, as some posts on the RPF suggests they've been negligent with the truth about what they are selling for years. Really a shame. They really have the duty to be flawless when it comes to what they offer. Anything else is disgusting. Sure... one or two pieces can slip through the cracks and they do take things down once they are alerted to it, but the descriptions need to be fixed on all items that isn't from production, but made afterwards - it needs to be more detailed and correct, so a buyer can make an informed opinion - sure, the buyer needs to do his/her own homework... but the current descriptions are insufficient. It should be stated clearly that the pieces are PH display items. This one was constructed at ILM while I was there. 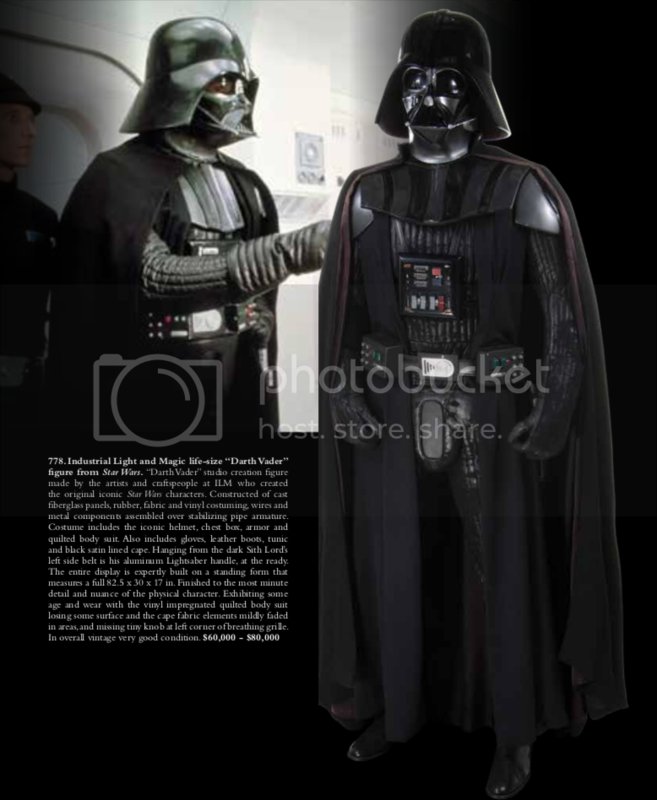 When the Planet Hollywood restaurants started opening all over the Creature Shop was asked to produce more Vaders from the production molds/ patterns for display at different locations. All legit ILM stuff, just not screen-used. But definitely fabricated by the right folks in there. They had all the patterns sitting out, screen-used items for reference, etc. In my opinion it is same level of provenance as tour suits.